Designed to feed and orient parts at a high rate of speed with low noise levels. A variety of parts well suited for ROFs include lightweight plastic items to include caps and electrical connectors, heavy items to include bolts and valves and many types of frozen food applications. 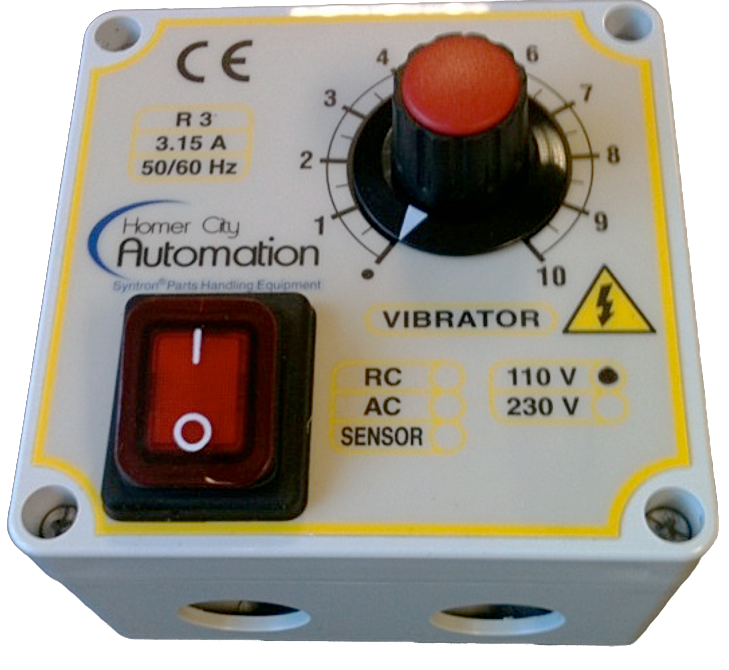 Homer City Automation is the industry leader in custom feeders and feeding systems for a wide variety of applications. 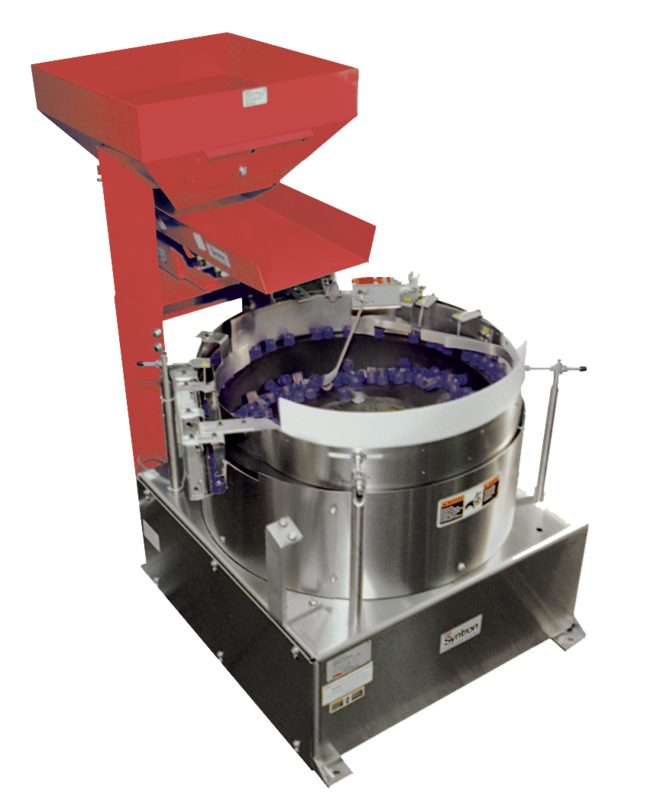 This includes custom-tooled vibratory feeders such as cascade bowls with drives, outside track bowls with drives, and custom-tooled rotary feeders. Homer City Automation offers complete custom parts handling systems that would include supply hoppers, gravity tracks, horizontal tracks, base plates and supports stands, controllers and other accessories, to take product from bulk and present parts as needed for assembly, packaging and/or other processes. 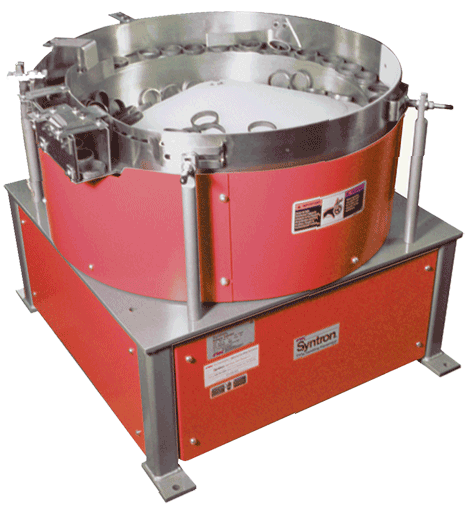 Homer City Automation offers a variety of bowl designs, based on the feeding requirements. 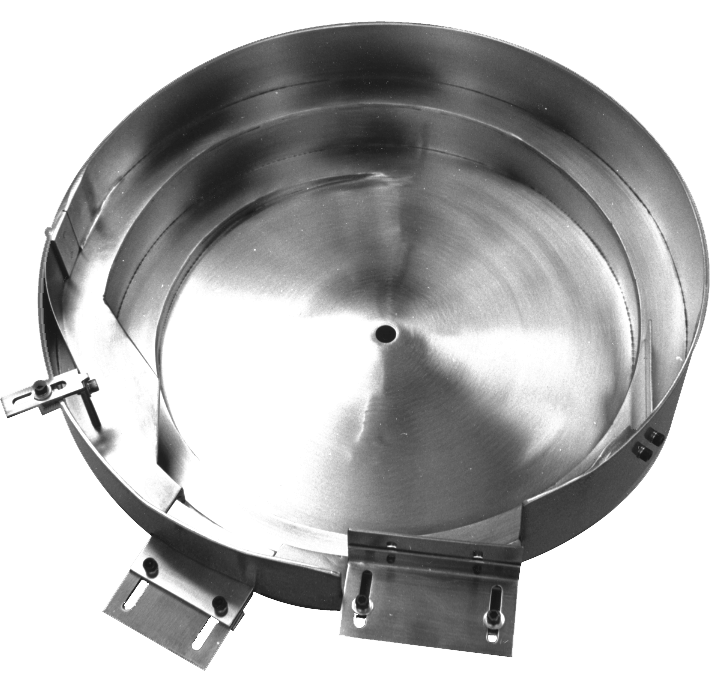 Vibratory bowl feeders are available tooled or untooled (do it yourself). The development of the EB Series Vibrating Base Units increased parts orientation and feeding efficiency. Many varieties of these drives have been created over the years, however none can match the adjustability, longevity and reliability. 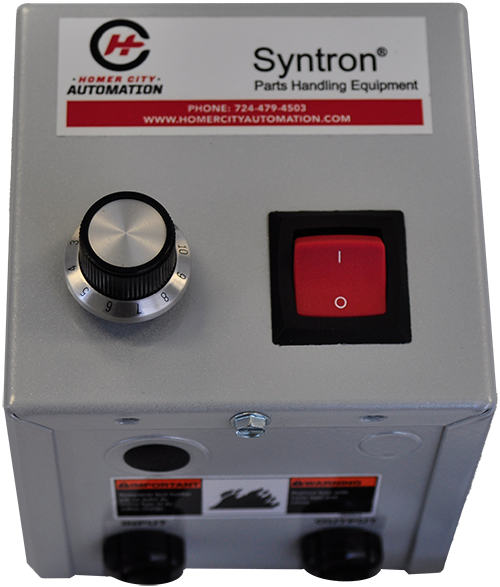 In addition to the EB drive units, Homer City Automation offers the VPF Parts Feeder. 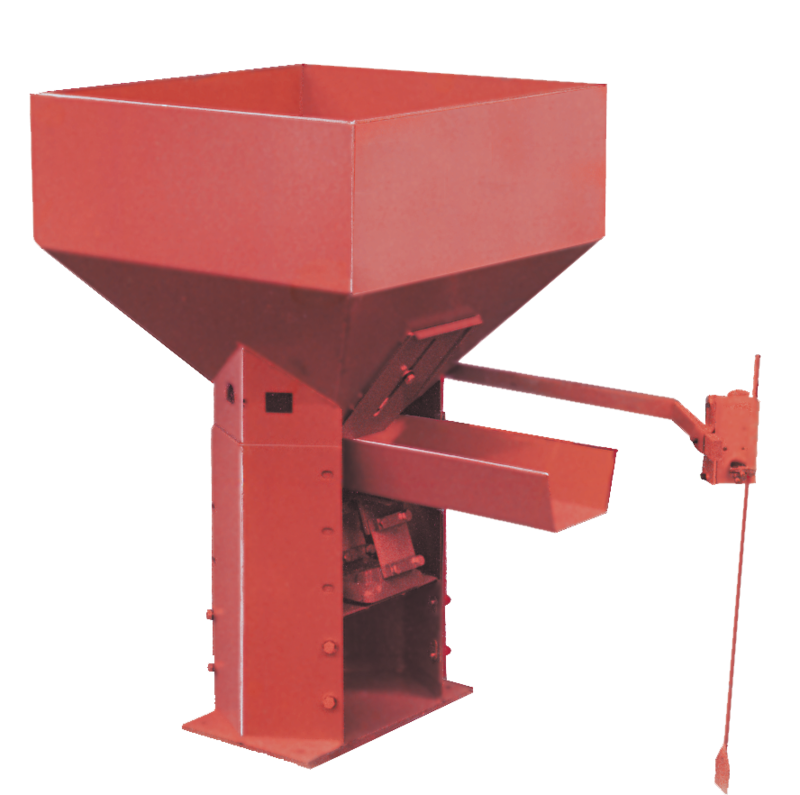 The VPF is known for its high feed rates with quick response time. The design of the VPF allows for adjusting the horizontal and vertical bowl strokes independent of each other. Linear drives are designed to provide accurate horizontal conveying of oriented parts, as parts discharge from a vibratory feeder bowl. 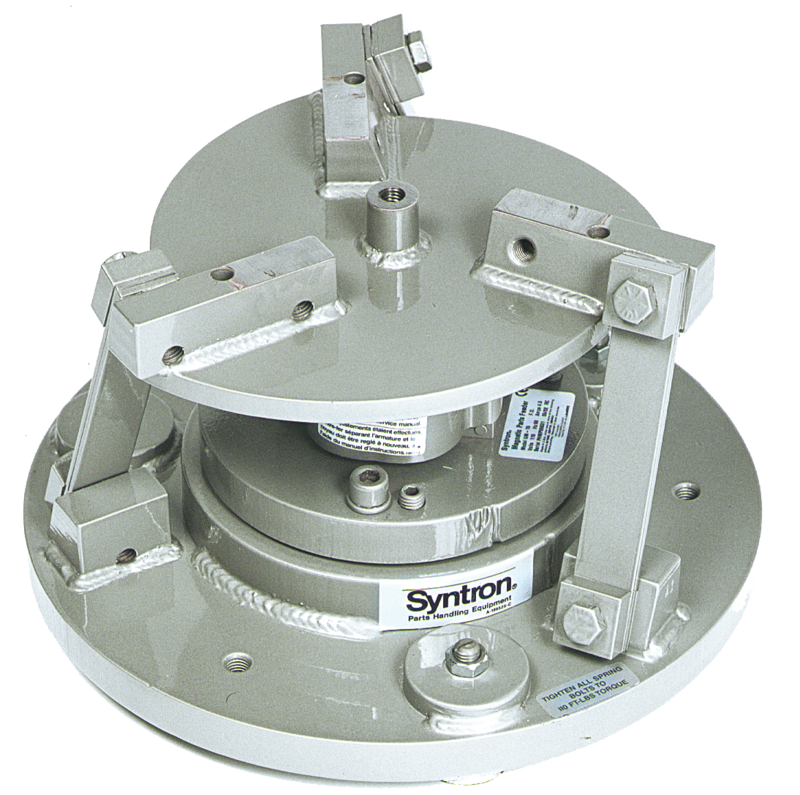 The Syntron® PFM is a combination of storage hopper and light capacity feeder designed to gently convey parts. 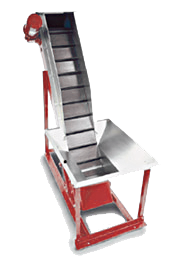 Designed to control the elevation of parts with a combination of hopper, vibratory trough feeder and elevator. Parts handling equipment often requires some means to limit their vibration or motor speed. Controllers serve that purpose. 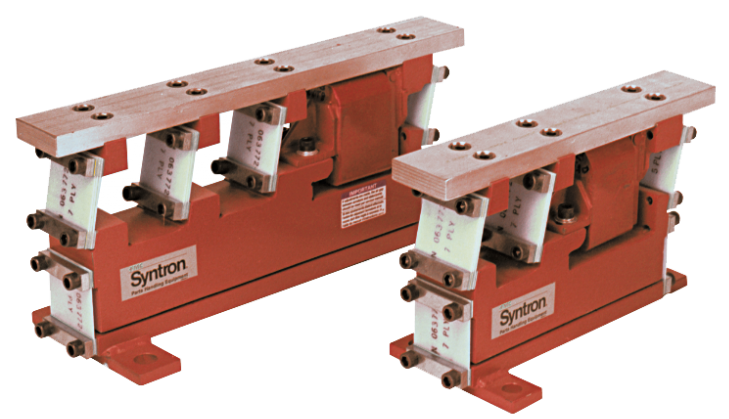 For most feeding applications, a variable speed controller is required to compensate for changes in machine cycle rates. 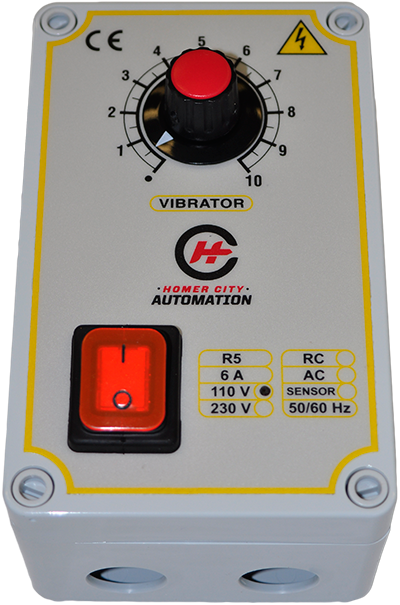 The standard models offered by Homer City Automation provide the level of flexibility needed for most production equipment and application requirements. 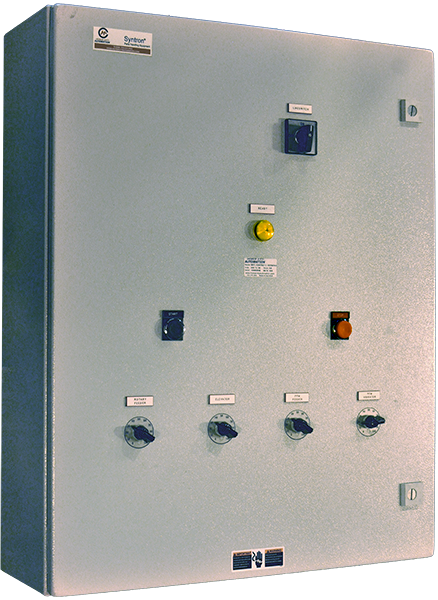 In addition to the standard feeder controls, Homer City Automation’s electrical engineers can design and build custom feeder control systems.